For years, the use of GPS has been an essential part of each of our lives. Whether it’s about finding a new place, trailing through the woods, or going on a long drive, we rely on the services of GPS to guide us. For instance, locating the nearest eateries, tracking friends and family, monitoring vehicles, and so much more. In terms of precision, speed, and performance, the technology that runs GPS has significantly improved. For this reason, more and more people are buying a GPS device for themselves. As a result, the market for them is also constantly growing. There are many notable models designed and manufactured by trusted brands that are becoming the talk of the town. One such noteworthy unit is the AM-GL300 V3 by Amcrest. In here, we will take a detailed look at this GPS device to determine if it is actually worth its price or not. The AM-GL300 is one of the best GPS trackers available on the market. This unit is the proud product of a renowned US-based firm, Amcrest Technologies. This company specializes in designing and manufacturing premium-grade security and monitoring products. With its powerful GPS technology, you can track anyone or anything wherever they are. Combine it with its Smart Geo-Fencing Feature and you are now equipped to define the exact zones that you wish to track. In fact, you can create three separate zones to outline your boundaries further. It even lets your device activate an alarm whenever it enters, leaves, or reaches a certain spot that you defined. This advanced option is not available in many other models in the same price range. Aside from the GPS and Smart Geo-Fencing features, this tracker also boasts a high-grade charting service. This technology allows you to observe maps through not only satellite but also cross views. The tracker uses a powerful battery that can last for up to 10 days on a single charge. This means that you can use this GPS tracker for long periods without having to worry about it getting drained. This device is also capable of sending all of its tracking reports to any digital device of your choice. In addition to that, it also has an intuitive and user-friendly interface that lets you track the activity, control the notifications, and create tailored reports about the specific information that you need. You can access the device whenever you want from your desktop, laptop, Mac, or mobile phone through its iOS and Android apps. The tracking device also enables you to generate links so that you can share them with others in order to better monitor the objects and people you have bought it for. With a size of 5.5 x 4 x 3 inches, the device is small enough to fit inside your vehicles securely or anywhere else without getting noticed. In fact, it is so small that it wouldn’t take up much space wherever you place it. The small size also helps in easily concealing it, in case you want to spy on anyone or anything. The whole package comes with the tracker, a power adaptor, an instructions manual, SIM card information, and a lifetime of customer support from the manufacturer. For shielding your device from harsh weather conditions, you can get the IP67 weather resistant magnet cover that can be bought separately. 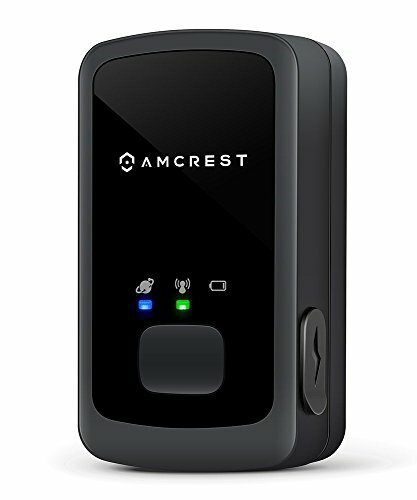 With the multitude of useful features and tracking options it comes with, the Amcrest AM-GL300 V3 GPS Tracker is truly a versatile and high-quality GPS tracking device. The powerful signals of the device never let your tracking get interrupted for even a single moment. The device is smart enough to quickly detect the motion, which always results in precise and accurate tracking. Moreover, it enables you to set up the parameters according to your preferences, thus allowing you to regulate it fully. Whether you want a tracking device for personal, familial, or professional use, it is an excellent choice for all three purposes. As mentioned before, there is a sudden rise in demand for GPS tracking devices as the technology matured in the last few years. Due to high demand, there are hundreds of products available in the market that you can compare the Amcrest AM-GL300 V3 GPS Tracker with. One such popular unit is the Vyncs Tracker. With almost the same price, this tracker features almost everything that the GL300 has. However, it does slightly lag behind when it comes to accuracy and response time, which doesn’t make it ideal for commercial use. Moreover, the setup guidelines are a bit vague, so its installation is not that easy. Another major downside to this model is that it starts charging the subscription fees from the date of purchase instead of the date of activation. However, despite these small issues, the model is pretty good and highly functional for home use. But then again, it is no match to the Amcrest AM-GL300 V3 GPS Tracker. The Amcrest AM GL300 is packed with some really powerful features that are specially designed to bring up your tracking game to the next level. From size to battery life, performance to user-friendliness, this unit contains everything that makes it a professional-grade tracking device. Not only is it great for tracking vehicles, but it is also equally brilliant for tracking humans, pets, and other things. 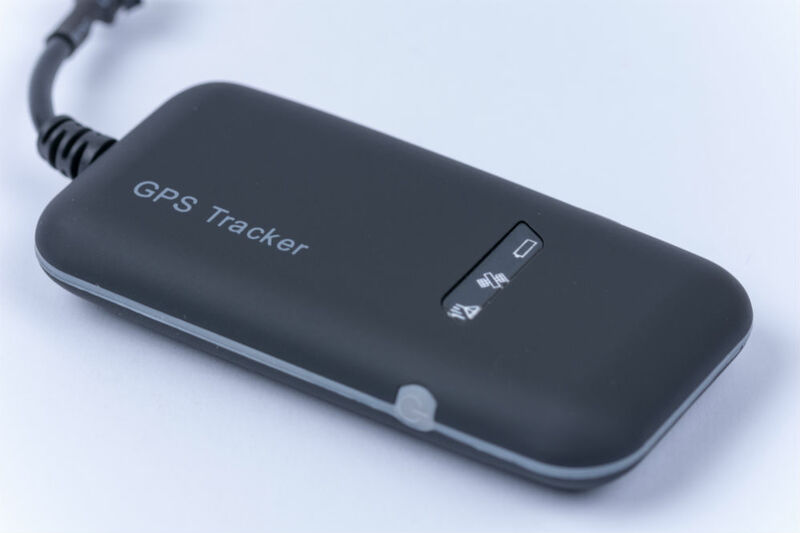 If you want to enjoy a better and more precise monitoring experience, you ought to give this GPS tracker a shot.